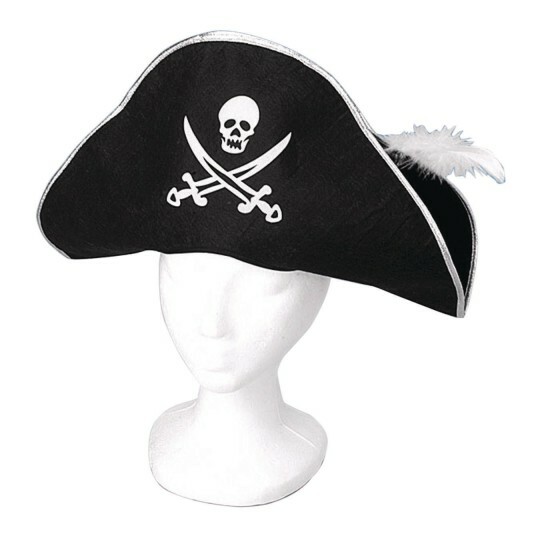 Black felt with white silk-screened skull and crossbones emblem, gold trim and feather accent. 17-1/2" brim. One size fits most.